This May our community lost a very special man, John Wynne. John has supported Open Door for over 10 years, as trustee and treasurer and in 2014 John helped to set up our Men’s Shed project, a project he took great delight in being a part of. In light of this, his family very kindly asked for donations in memory of John to go to Men’s Shed, as one of their chosen charities, in the hope that they may be used to further develop the project, so that even more men may benefit. Those donations totalled £1,270 and so the men started thinking of how they might be able to best use them in tribute to John. 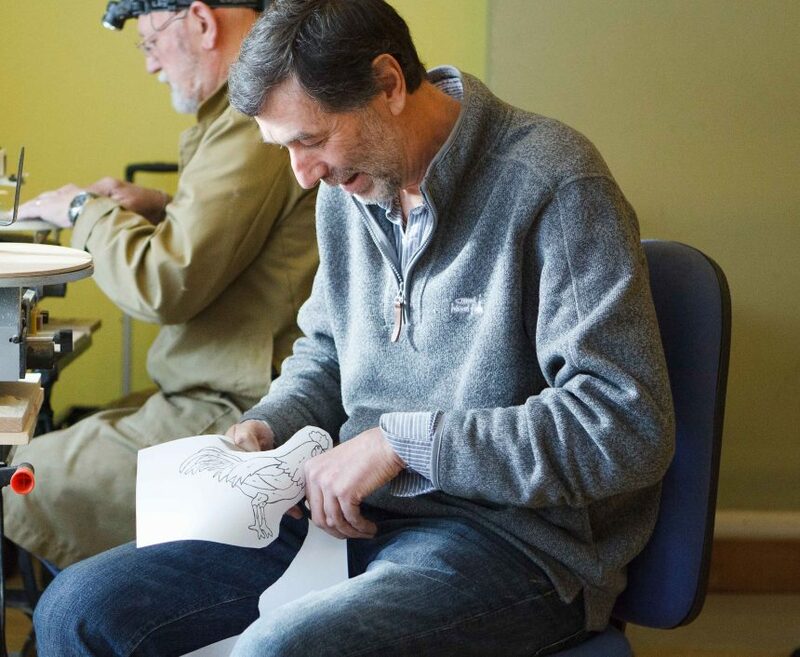 Men’s Shed is a place for men to socialise, to make friends and to learn and share skills. We currently see around 60 men per week using the wood workshop but we are aware that not all men like woodwork! So in an effort to reach more men, we are going to use the donations in memory of John to offer a variety of arts based activities as well as the workshop. Suggested sessions so far include: model making, drawing and painting, stained glass, wood carving, pyrography, pottery and Computer Aided Design 3D printing. We hope that in expanding the range of activities on offer at Men’s Shed, that many more men will come along and benefit from the friendship and camaraderie found at the Men’s Shed. Before we commit to purchasing equipment, Men’s Shed are asking for men to get in contact with expressions of interest. If you would like to attend any of the arts based sessions, or you already have skills in these arts and would be interested in sharing your skills with others, please email: menshed@opendoorexmouth.org.uk or call the office on 01395 224218. We will also be holding an open day to find out more, so if you are interested in attending please get in touch! Previous post LinkHaven – the first 6 monthsNext post LinkWe’re hiring! Latest news from Open Door! © 2016 Open Door Exmouth. Registered charity no. 1094599. Company number: 4543199.